The Burrard Neale 250 Project, organised and coordinated by the Lymington Society, is proud to announce the plans for the Celebration of the 250th Anniversary of the birth of Admiral Sir Harry Burrard Neale – Lymington’s most illustrious and celebrated resident whose life and achievements were celebrated by the erection in 1841 of the magnificent 76 foot granite obelisk known as the Walhampton Monument which overlooks the town from the East. Our May 16th Concert, of many of Wagner’s most popular choral works, proved to be a great success! An audience of 150, including Cllr. Michael White, Town Mayor of Lymington, enjoyed lively singing of a high standard by the Salisbury Chamber Chorus, under its Director Simon McEnery and ‘a good time was had by all’. 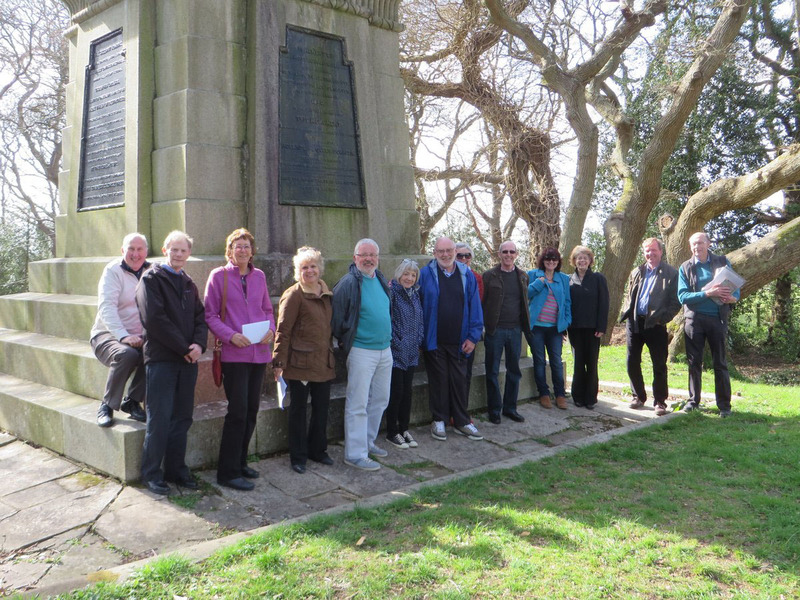 Sponsored by The Lymington Society, in aid of ‘Burrard Neale 250′, the evening’s activities raised over £1,000 towards the restoration of the St. Thomas’ Church memorial to Admiral Sir Harry. 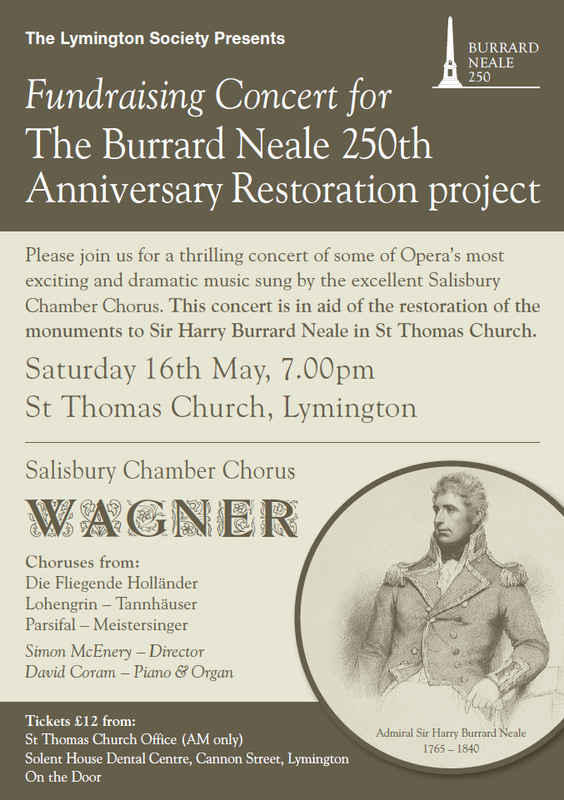 The Lymington Society and the ‘Burrard Neale 250′ team are pleased to announce an exciting concert, to raise funds for the restoration of two magnificent Burrard and Burrard Neale memorial plaques in St Thomas Church, Lymington. The concert, at 7.00pm on Saturday 16th May, will feature the excellent Salisbury Chamber Chorus, who will present a thrilling and dramatic concert of some well-known operatic choruses from Wagner, including ‘The Flying Dutchman’. 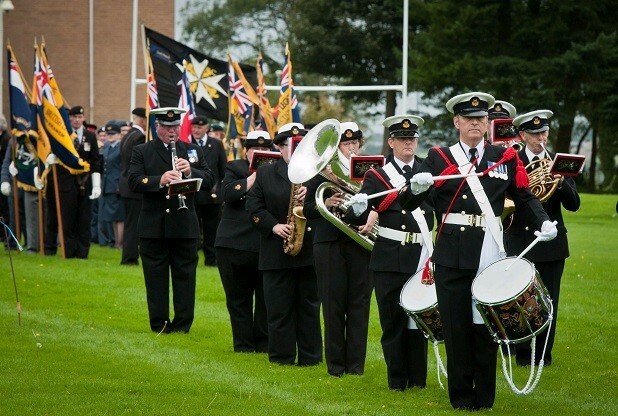 This concert is part of the successful ‘Burrard Neale 250′ project, to re-awaken memories of forgotten Walhampton naval hero Admiral Sir Harry Burrard Neale – a colleague of Nelson – and to restore the 76ft Walhampton Monument, erected in his honour, and its surrounding grounds. This project has so far completed the reinstatement of the Solent Way path, through the Walhampton Monument site and cleared decades of overgrown laurel and scrub, which have been replaced with 1,200 newly planted trees, all of which are of native species. 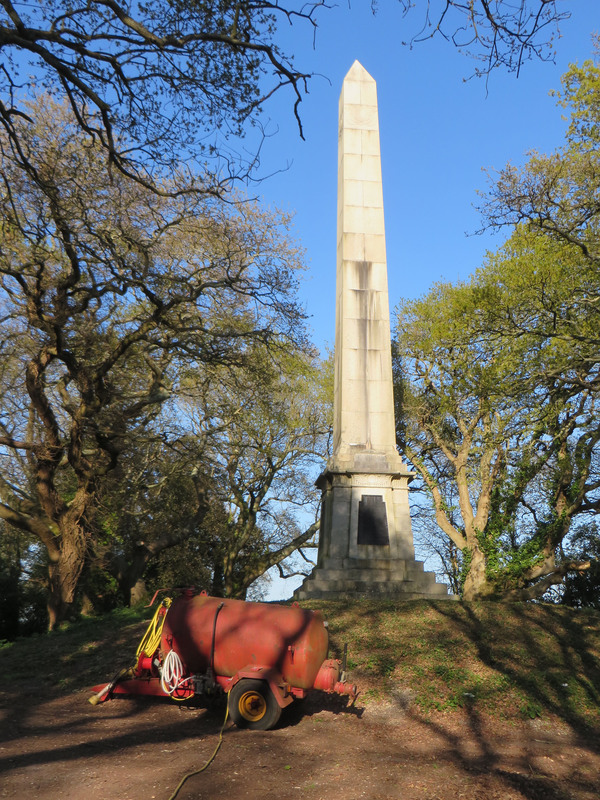 The recent magnificent restoration of the ‘Gas Lamp Monument’, just outside the Royal Lymington Yacht Club, is another achievement of the ‘Burrard Neale 250′ project. 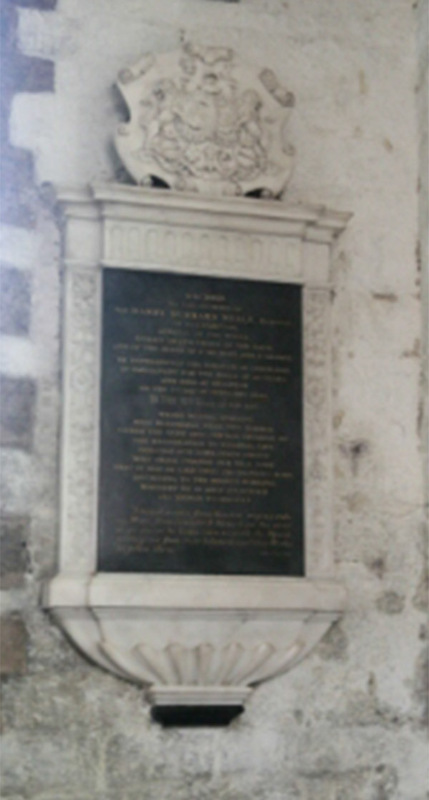 This concert aims to build on a generous donation of £1,000 from the Fulford and Burrard Trust towards the cost of the restoration of the Burrard Memorials in St Thomas and to try and raise the remaining £3,000 needed to complete the restoration in time for the 250th Anniversary Celebrations of Sir Harry’s birth on the 16th September this year. Sir Harry is believed to have been the last person to be buried inside St Thomas Church, when he died in 1840 – 175 years ago. Concert tickets cost £12 and can purchased in advance from the Church Office (mornings only) or from Solent House Dental Centre in Cannon Street – or on the door. “Admiral Sir Harry Burrard Neale is almost certainly the most eminent person ever to come from the Lymington area and it is only right that we should help remember this amazing man and his achievements, as well as restore and cherish the town’s monuments to his life. 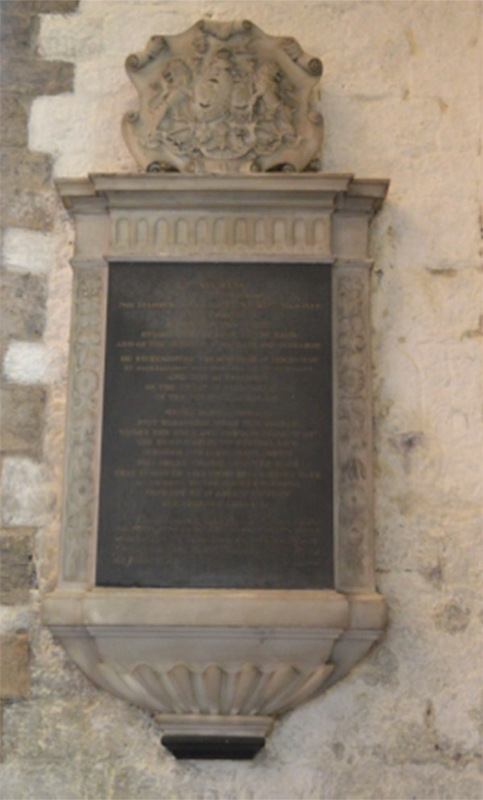 The memorials to Sir Harry and an earlier member of the Burrard family in St Thomas Church are now sadly almost illegible and in great need of restoration. 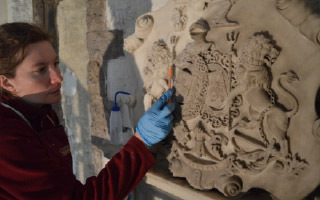 Thanks to the help of National Park Archaeologist Frank Green, we have now completed the complex ecclesiastical formalities and have received official church permission to undertake this painstaking work. It would be wonderful if we could get the memorials restored in time for Sir Harry’s 250th Anniversary in September, when we hope to organise another musical tribute in the church and we are very pleased to be able to announce this exciting Fundraising Concert to help us raise the remainder of the funds required. When you’ve just planted some 1,200 hedging whips – dormant, bare-rooted plants, 2 – 3 feet tall, of a range of native varieties -the last thing you want is a virtual March / April drought! But that’s been the situation at Walhampton so, by mid-April, alarm bells were ringing. Fortunately, neighbours of the Monument site rallied round, feeding hose-pipes through their fences – although seemingly endless fetching and carrying of watering cans was still required! There’s no doubt that awareness of Sir Harry is on the increase . A year ago few had heard of him and, partly due to the impassable state of the ‘Solent Way’, far fewer had visited the Walhampton Monument.